The subsurface characterization of sub-soil of a proposed filling station was carried out along Ilesha road, Akure, Ondo State with the aim of designing a structural model for the filling station. To achieve this, Electrical Resistivity method using Dipole-Dipole and Schlumberger Vertical Electrical Sounding (VES) was employed. Dipole-Dipole run through five (5) traverses in the north-south direction. A total of twenty-five (25) VES points were established with five (5) at each traverses. Dipole-Dipole data were used to generate 2-D resistivity structure image with resistivity ranging from 19 ohmâ€“ m â€“487 ohmâ€“m at the topsoil and 19.0 ohm-m â€“ 80 ohm-m at the weathered layer. The VES data were interpreted through partial curve matching and computer iteration. The interpreted data were used to generate geo-electric sections showing that the geo-electric sequence comprise of topsoil, weathered layer, partly weathered/fracture basement and fresh basement. The resistivity ranging from 22 ohm-m â€“ 83 ohm-m at the topsoil, 12 ohm-m â€“ 507 ohm-m at the weathered layer, 185 ohm-m - 864 ohm-m at the partly weathered/ fracture layer and 1987 ohm-m â€“ 33693 ohm-m for the fresh basement. The resistivity at the second layer was used to produce an isoresistivity map of the area. The study proved that Electrical Resistivity method can serve as an important tool in designing a model for the construction of a filling station. ADEGBUYIRO A., OBORE, A.A., Akinlalu,A.A.,. Application of Electrical Resistivity Method in Designing a Structural Model for a Proposed Filling Station Site, Akure, Southwestern Nigeria. Global Journal of Science Frontier Research, [S.l. ], jan. 2017. ISSN 2249-4626. 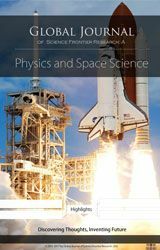 Available at: <https://journalofscience.org/index.php/GJSFR/article/view/1884>. Date accessed: 21 apr. 2019.